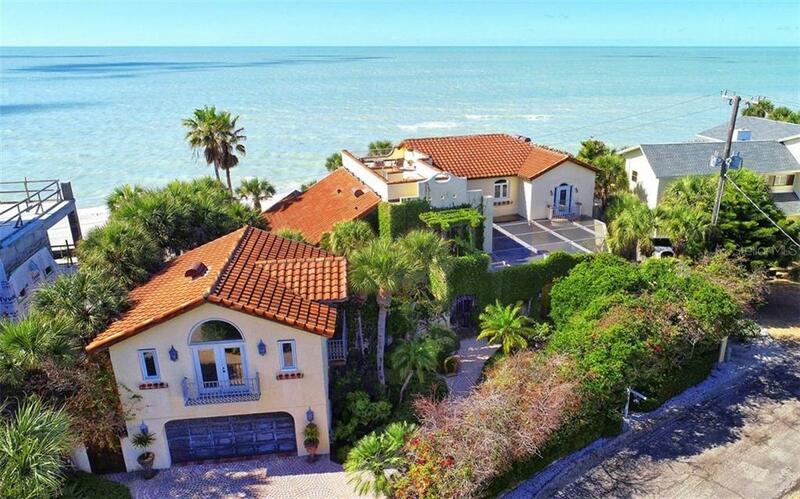 Privacy abounds behind the gated entry to this unique Spanish Mediterranean beachfront home hidden away in tropical splendor on the sparkling blue waters of the Gulf of Mexico. Attention to detail is not lacking in this gorgeous 4 bedroom 5 1/2 bath pool home that was rebuilt in 1991. Unique, charm and character are three words that best describe the ambiance of this island oasis. From the custom wrought iron banister leading up to the master bedroom to the pecky cypress doors to the fun tile colors of the "car wash" shower you will be impressed with the quality of appointments throughout the house. The quarry tile & wood floors give a feeling of warmth. 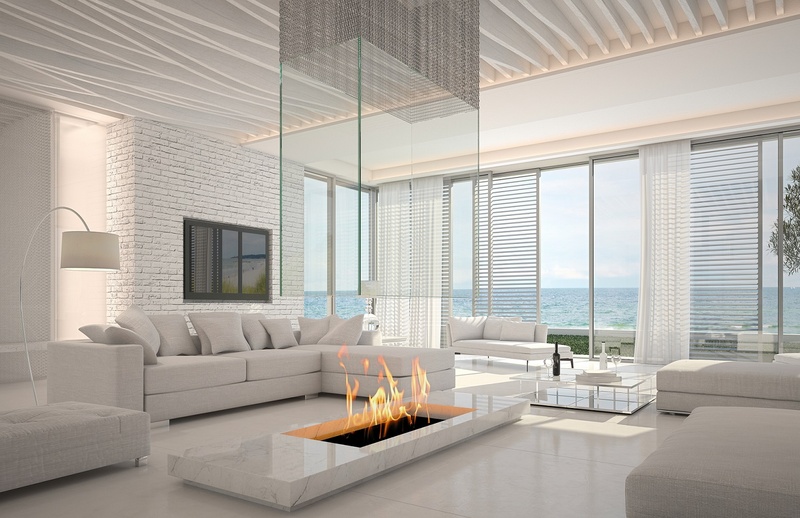 The large picture windows and sliding glass doors let the light in & offer spectacular vistas of palms, beach and water. Open them and let the tropical breezes flow in! The master bedroom is the piece de resistance of the home with 2 full bathrooms, open air and screened balconies, and a remarkable sitting area with a wet bar. To top it off take the circular staircase to the roof top deck which gives you panoramic views of the bay and Gulf. The swimming pool invites you to it's courtyard setting with an extensive patio area. Just open the house and the entertainment possibilities are endless. The guest quarters over the garage offers a full bathroom and could be used as an art studio, office or exercise room. The appeal of Casey Key begins at the swing bridge on Blackburn Point and extends to the 7 miles of winding road and tropical beauty to behold!